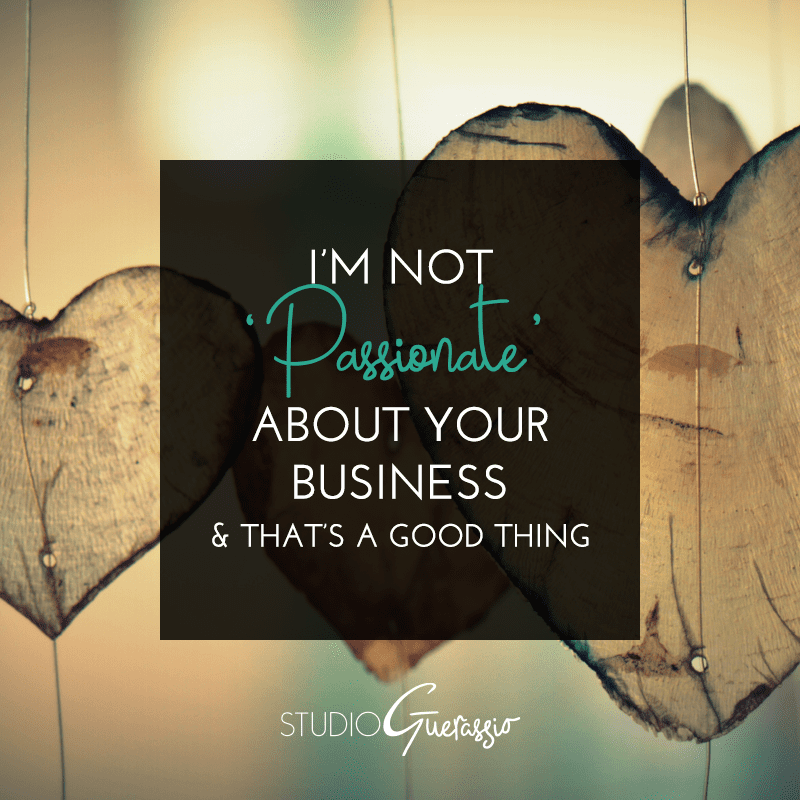 Can we get rid of the word ‘passionate’ regarding business relationships, please? Even if we ignore the *ahem* romantic connotation of the word, it still means having really strong emotions- and being driven by those feelings. This is not a bad thing when it comes to your own business. You should be passionate about your business; that’ll be the drive that keeps you going and makes all of the headaches along the way worth it. Spoiler alert: there will be headaches. However, when you’re bringing in someone to handle a strategic aspect of your business, like design*, then you’re better served if they approach things with logic and a cool head. Strategy, of any kind, should not be based on personal emotions- yours or theirs. It should be based on specific goals, relevant research and experience, and whatever objective standards apply. You should always be able to back up strategic business decisions with something concrete. When it come to your business succeeding, what your target audience responds to is more important that your personal preferences or whims. That’s not to say the people you contract for strategic work can’t be interested in your business or excited about the project. But excited is a far cry from passionate. Expecting them to have the same depth of attachment and feeling for your business as you do is a) unrealistic and b) not necessary for them to do their job. I have strong beliefs about design. By some definitions, that means I am passionate about it (I still don’t like that word for that meaning, but ok). However, that applies to my own work and my own business. Because of those strong beliefs and my high standards for my business, that means when you hire me for a project I’m going to do the best work I can. And that means using my experience to apply design theory and make strategic decisions that will best serve your business and what you’re trying to accomplish with the project. That takes a cool head, not frenzied emotions. So, no, I am not passionate about your business. And that’s exactly why I’m able to create great design for you. What do you think? Am I alone in having an ‘ick’ reaction to this word in business? *Yes, I consider design to be strategic. It is a creative field, but with purpose. Making decisions to achieve that purpose = strategy.